The Agricultural University of Athens (AUA), established in 1920, is the third oldest university in Greece. The Department of Agricultural Economics and Rural Development set up as its primary aim to promote knowledge and to educate scientists specialized in research and in tackling problems connected with the economic, social, political and environmental dimensions of sustainable rural development. Its special characteristic is that it combines areas of expertise derived from both sciences and humanities. The Department has a long experience in EU and national research projects in topics relating to agricultural and rural development, including innovation & learning, management & marketing, agri-environmental topics, policy assessments, project design and evaluation, etc. focusing on sustainability and innovation. The trans-disciplinary design and conduct of field research as well as participatory techniques are also part of its staff expertise. 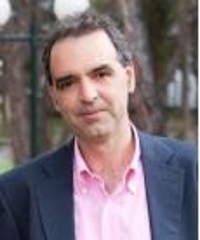 Dr Alex Koutsouris (Prof.) is the Head of the Unit of Agricultural Extension, Rural Systems & Rural Sociology, Dept. of Agricultural Economics & Rural Development, AUA. He holds an MSc in Agr. Extension (UCD, Ireland) and a PhD-degree in Extension Education (AUA). Specialist in agricultural extension and agricultural education/training as well as in sustainable rural development with emphasis on participatory methods. 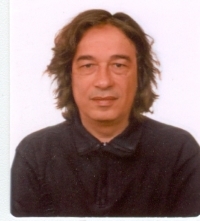 Has served as President of the steering committees of IFSA (International Farming Systems Association-European Group), ESEE (European Society/Seminar of Extension Education) and ETAGRO (Hellenic Association of Agricultural Economists); TAIEX expert; World Bank consultant; FAO resource-person; Associate Editor, The Journal of Agricultural Education & Extension; invited expert in SWG SCAR AKIS4. He participates/ed in several research and collaboration projects (e.g. AGRI-LINK, WISE, AGRISPIN, PRO-AKIS, CORASON, LEARNing). 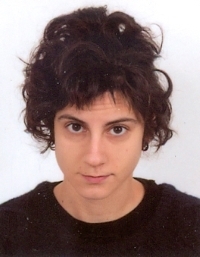 Ms Eleni Pappa (MSc) is a PhD candidate, Dept. of Agricultural Economics & Rural Development, Unit of Agricultural Extension, Agricultural Systems & Rural Sociology. Her main research interests lie in socio-ecological (farming) systems, environmental engineering and crop management. Dr Yiorgos Alexopoulos is senior researcher at the Unit of Agricultural Policy and Cooperatives, AUA. His research interests are in the fields of sustainable rural development, and social economy with emphasis on social finance and social innovation. He is member of expert groups of the European Commission, and works as an external expert with OECD. He participates/ed in several research and collaboration projects in the field of social innovation and rural development.